Everyone loves a good party, and Christmas presents the perfect opportunity to throw or hold a staff party. It has become the norm that when the festive season begins, a Christmas party is arranged for staff by the business. The Christmas party is often seen as a time for staff to unwind, relax and enjoy themselves, but does everyone enjoy a Christmas party? The annual party is often seen as a time for celebration and bonding as everyone has made it through another year together and the Christmas party presents a perfect opportunity for employees to let their hair down and have a good time. Also, if the party is done right it can be used as a tool for the business in terms of positive engagement with the workforce. Research conducted by Perkbox discovered that 29% of employees don’t enjoy going to their employers Christmas parties. The main reason for this was they felt as if the fun was ‘mandatory’ and ‘forced’. 34% reported that they do not enjoy socialising with their co-workers during the Christmas party and this contributed to them not being in the party mood. Additionally, 30% of people stated that they find socialising in a Christmas party difficult and intimidating as Christmas parties can quite often be cliquey. A further 27% of people who stated that they are not keen on Christmas parties stated the reason that they don’t engage with the idea of fun being forced upon people by management. Many stated that instead of having one designated Christmas party, they would rather have a choice of activities to do with a closer-knit group, with 23% of those who took part in the research saying that they would enjoy a meal with their immediate team rather than the whole company. A further 7% stated that they would prefer to do a daytime activity with their team, and the same number stated that they would prefer a night out with their direct colleagues. The Co-Founder of Perkbox, Chieu Cao, says that the results of the research clearly indicate that there is still a willingness and want to have some form of get-together with colleagues at Christmas. 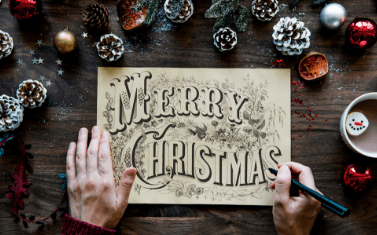 If a business is considering changing their approach to the traditional Christmas party, then they could give each department or team a budget and give them the power to choose what they would like to do. Paul Kelly, the Head of Employment Law and Blacks Solicitors LLP has touched upon the subject of Christmas parties and given some tips to ensure that it runs as smoothly as possible. The first is to “beware of the ‘free bar’”, as an employer needs to ensure that the alcohol intake isn’t too high, in order to avoid vicarious liability if something were to go wrong. In addition, Kelly added that before the party it should be made clear that it is an opportunity for everyone to enjoy themselves, but that the companies policies still apply and any bad behavior will have consequences. Finally, we would like to wish everyone a Merry Christmas!